The investments made in the Orient-East-Med corridor crossing Greece under the Trans-European Transport Network (TEN-T) will generate 705,000 employment opportunities and 170 billion additional GDP for the period 2017-2030, said EU Transport Commissioner, Violeta Bulc, who participated in the Economist conference on “Infrastructure in Greece and the Eastern Mediterranean in the next decade”. “This is a very clear message to those who work to prepare or complete any of the projects associated with this corridor: it is worth putting every effort to complete these projects on time – the benefits for the region will be significant», she stressed. Talking more about the TEN-T project, Violeta Bulc underlined that 800,000 additional jobs will be available compared to 2016 as a result of the completion of the core network, which will add 1.6% to European GDP – “these numbers are expected to increase after 2030, once the economy benefits from the core of the program”. Connectivity in Europe, according to her, acts as a catalyst for the peaceful coexistence of the countries of the continent. She pointed out that 70% of the funding in the transport sector is related to railways and urged Greece to take the opportunity to become a transport hub. “By 2030 you will see a completely new railway system in Europe. Instead of 40,000 regulations, we will have only 16,000. They will define the system and deal with seamless transports”, said the EU Commissioner, who also linked the transport strategy to climate goals. 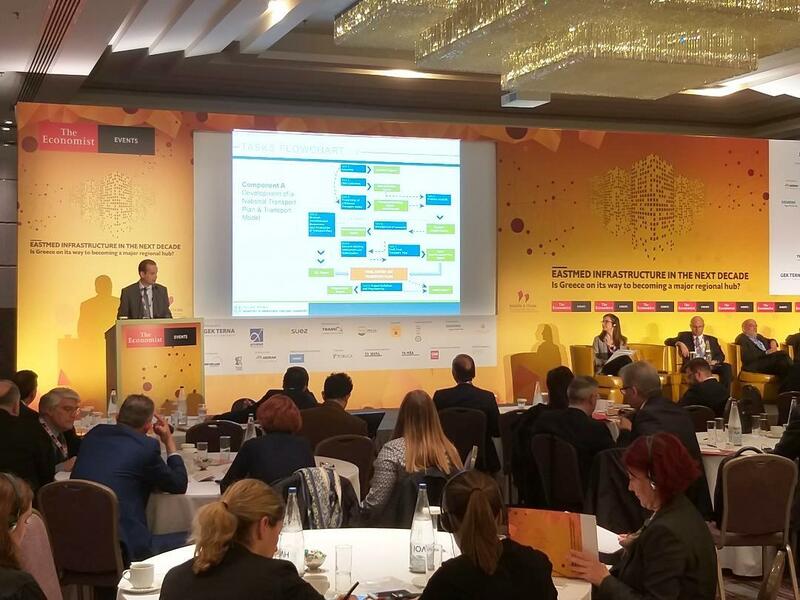 On his part, the Chairman of the Board of Directors of DESFA, elaborated on the company’s 10-year development program, “part of which is already under implementation for 2019 and contains important issues of gas penetration in the Greek and international markets”. In this context, he referred to small-scale LNG facilities for refueling LNG fuel. “The supply – as he stressed – will be made by small ships from the LNG station of DESFA in Revythousa (in the gulf of Megara) to the port of Piraeus. At the same time, slightly larger ships will be able to refuel satellite storage facilities in other major ports such as that of Patra”. Referring to the LNG tanker filling station, Theodoros Zitounis noted that “it is a project that is in the contractor selection phase, with the aim of directly increasing the penetration of natural gas in areas away from the pipeline network”. In addition, he highlighted the interconnection of the Central Network (NNGS) with international pipeline projects, such as the TAP gas pipeline and the IGB Greece-Bulgaria gas interconnector.